Our partners at CH2M invited us to show off our newly launched 6 metre cylinder at Middle East Rail – the region’s largest industry event. With more than US$200bn worth of rail and metro projects either planned or underway, the Middle East is ones of the world’s fastest growing rail markets. 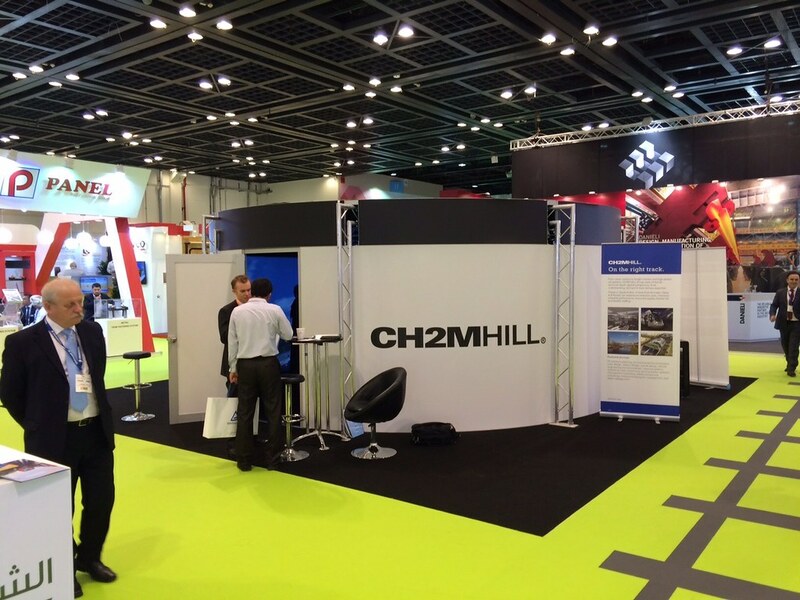 And, to reflect its innovation ethos, CH2M wanted an engaging way to showcase its digital design and engineering credentials. The Igloo cylinder was named the best stand of the entire show.